The portrait row started after BJP MP Satish Gautam wrote to AMU Vice-Chancellor Tariq Mansoor raising objections to the portrait of Pakistan’s founder Muhammad Ali Jinnah at AMU’s students’ union office. 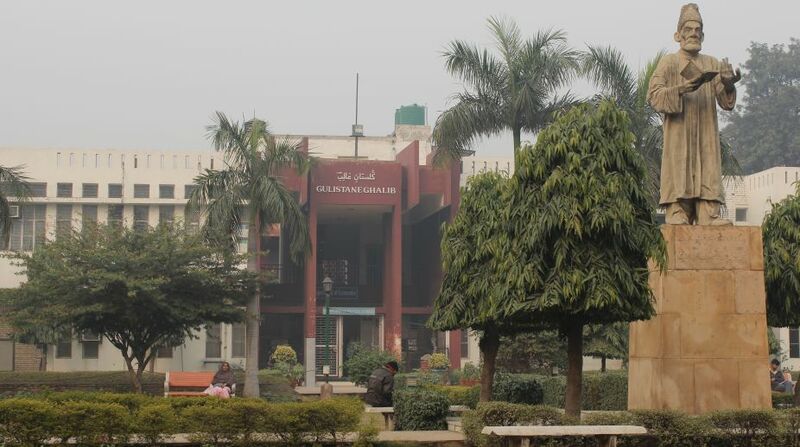 After a week-long ruckus in Aligarh Muslim University over the portrait of Muhammad Ali Jinnah, tension erupted on the Jamia Millia Islamia campus on Tuesday after a group of students, allegedly right-wing activists, held a rally against Pakistan’s founder. 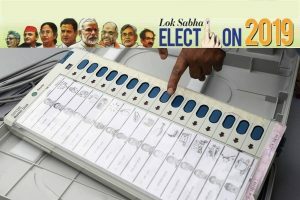 As per media reports, the group chanting “Vande Mataram” also raised ‘controversial’ slogans like “Jinnah premi Bharat chhodo” and “Hinduon ko darana band karo”. The protest began from Sari Julena near New Friends Colony and marched till JMI’s campus gate no 7. As per media reports, the group was protesting against the “harassment” faced by Hindu students in Jamia. According to eyewitnesses quoted in media reports, most of the protesters were outsiders. JMI’s Public Relation Officer Saima Saeed, however, said the protest did not enter the university’s campus and was on the road outside it. AMU has been tense ever since members of the Akhil Bharatiya Vidyarthi Parishad and the Hindu Yuva Vahini, while demanding removal of Jinnah’s portrait, entered the campus and assaulted students who were opposing them. On 3 May, clash took place when the students were demanding action against right-wing protesters who had entered the AMU campus and assaulted the students. In the clash, 28 students and 13 police personnel were injured. The university has also decided to reschedule examinations, which were earlier supposed to begin on 12 May, in view of the prevailing tension on the campus.